Marcavan Cavaliers are now in North Eastern Tasmania. 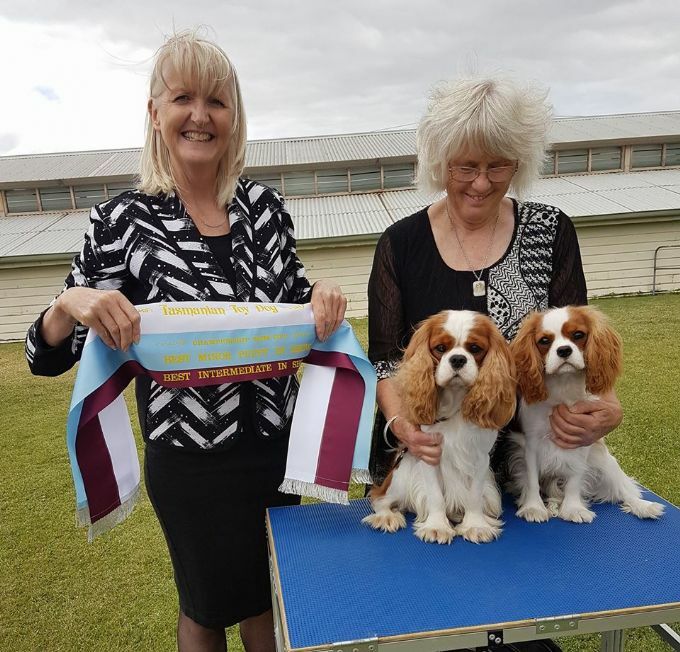 Located in superb lush farmland not far from Launceston, the Marcavan Cavaliers are enjoying the clean fresh air and tranquillity of this wonderful part of Australia. Over 40 years of breeding, producing Grand Champion and Champion show dogs as well as Obedience Champion dogs, we at Marcavan believe in a healthy happy lifestyle in a home loving environment. Pups sometimes available - blenheim and tri colours. All dogs Heart and eye tested. Marcavan - where soundness, temperament and good looks count.